Ensuring enrolment of children with schools and preventing school drop-outs of children were the key issues of the Indian literacy and it is highly in prevalence with the disadvantaged community. This programme of Kalvi focuses on bringing social motivation with the families of poor community and mainstreaming drop-outs through bridge education. 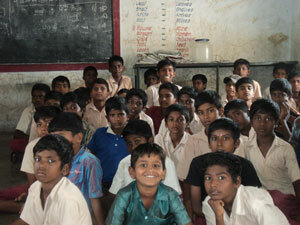 Today about 8 million children in India are out of schools due to poverty and disparity. Especially education of girl children is highly pathetic with the poor community. School children drop-outs were due to several reasons such as socio-economic condition of family, lack of motivation with the parents, loss of father in the family, etc., in which children were supposed to go for any work and support the family economy. This scenario is highly prevailing with community at rural areas and urban slums. Even though government is taking effort to ensure enrolments and reduce drop-outs, due to lack of social motivations the issue remains still. This program is mainly focusing on giving counselling to the parents and children’s of poor families and ensuring minimum level of education to the children. Under this programme the staffs of kalvi will be approaching the target community in the kalvi locations and surroundings of the network schools. There they will be work together with the government staffs and school teachers to identify the drop-outs and providing counselling for social motivation. Further the children will be facilitating to have a bridge course and streamline with the education system to get proper education.